August, 1217. 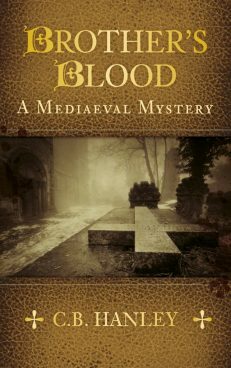 The war for the throne of England is far from over, but as commoner-turned-earl’s-man Edwin Weaver waits to see which way his lord William de Warenne will turn next, a messenger arrives from Roche Abbey: one of the monks has been murdered. The abbot needs help to find the killer, and he needs it quickly. Edwin and his friend Martin, the earl’s squire, soon find themselves trapped in the unfamiliar and claustrophobic confines of the abbey, where faces are hidden, where a calm exterior can mask inner pain and seething resentment, and where a killer walks among his brothers. As he finds himself drawn deeper into the abbey’s web, Edwin realises that his future might lie along a different path from the one he anticipated. Torn, he must not only discover the identity of the murderer, but must also decide where his real duty lies.